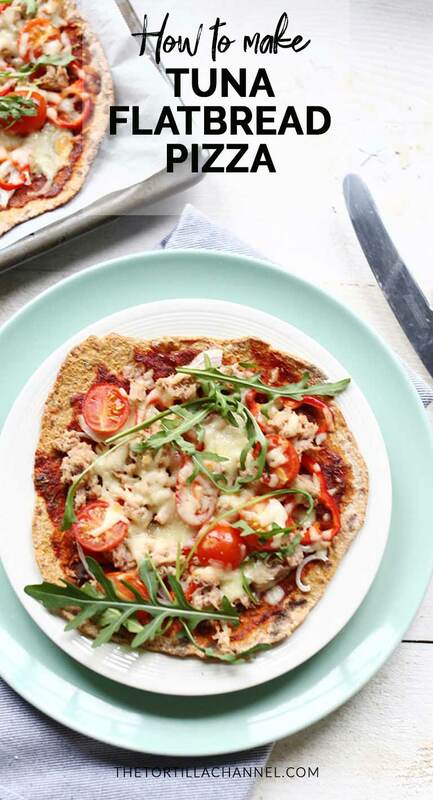 Tortilla and flatbread are great options to use as a pizza crust. 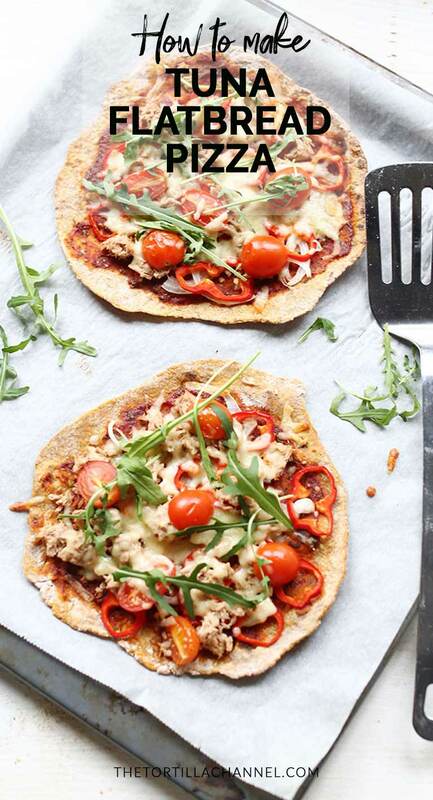 Sweet potato flatbread is a different type of pizza base that has a great flavor to it. 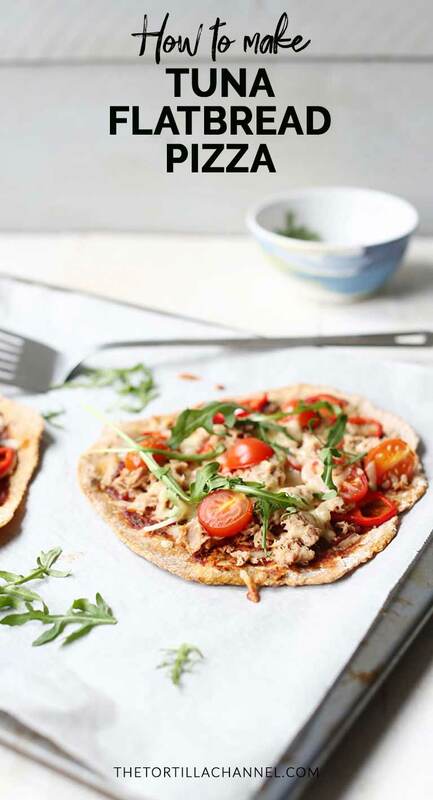 The sweet potato flatbread is a great combination with tuna. 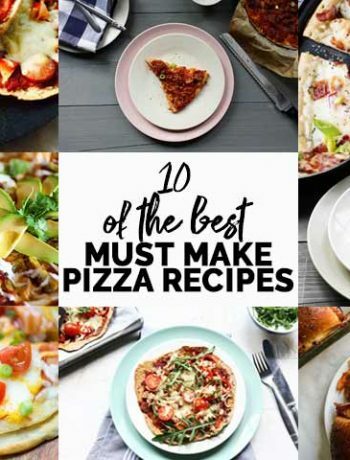 You can have this pizza recipe on the table in less than 20 minutes. Put tomato puree in a bowl. Add water, olive oil and herbs. 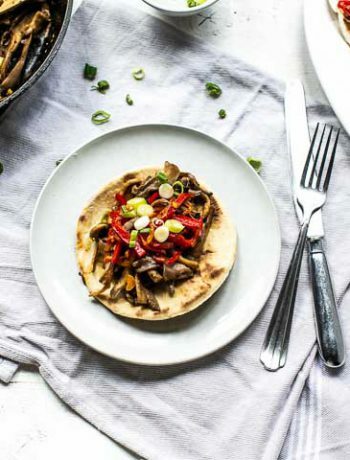 Whisk to combine the ingredients and turn them in a sauce and spread it on the sweet potato flatbreads. 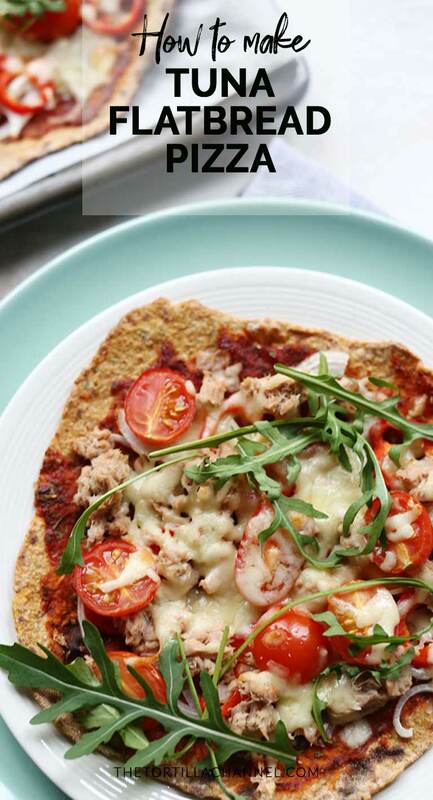 Sprinkle the shredded mozzarella on the flatbread. All it now needs is some oven time. Preheat your oven at 420℉/200℃. Now bake for 10-12 minutes or until the cheese is melted. 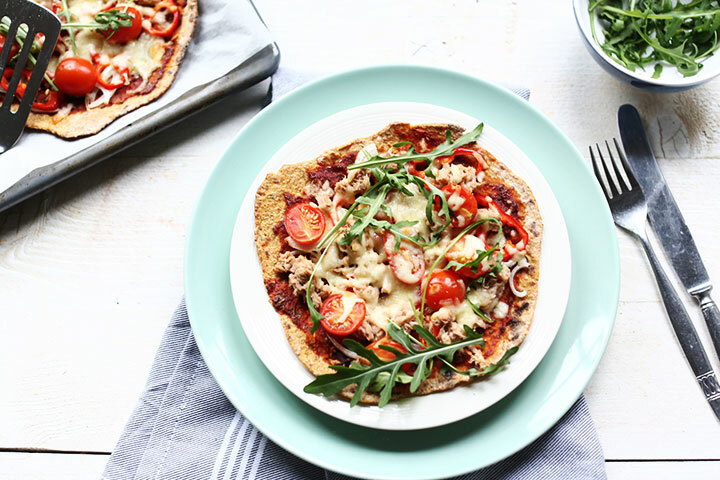 Decorate with fresh rucola for a nutty flavor and you have a beautiful pizza that is ready to serve. 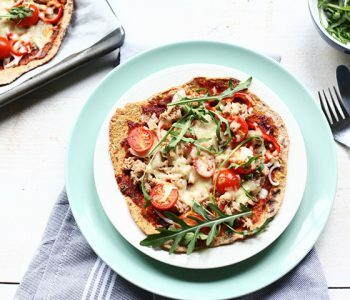 Have fun with this easy sweet potato flatbread tuna pizza recipe! Made a recipe tag @thetortillachannel on Instagram or PIN on Pinterest and follow me here. I love comments so let me know your thoughts on this recipe in the comment box below. What are your favorite toppings on a pizza? 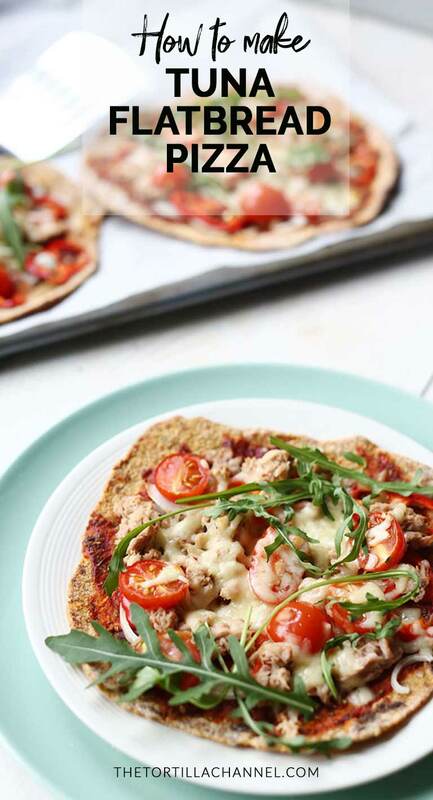 Easy sweet potato tuna flatbread pizza crust shows that you can make a delicious pizza from flatbread in no time. With fresh vegetables, tuna and cheese.